A Bangkok court in Thailand convicted dozens on July 19 in a major human trafficking case which was uncovered in 2015, involving more than 100 defendants and a senior army officer. 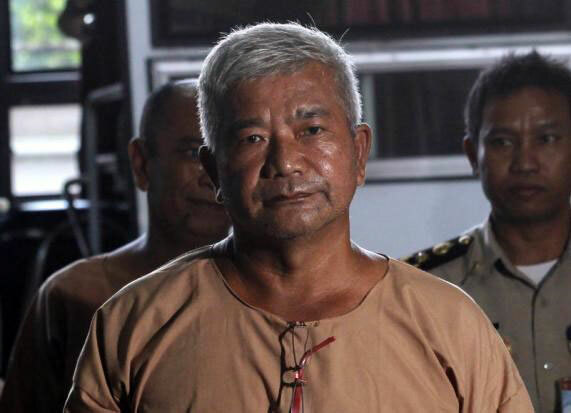 Many leaders of the Thai army, police officers and politicians were engaged in the network, with Lieutenant General Manas Kongpan sentenced to 27 years in jail for trafficking and committing an organised transnational crime. A total of 103 defendants pleaded not guilty to various charges including human trafficking, demanding ransom and murder. The network was revealed in May 2015 after graves were found in jungle detainment camps in Thailand. A government crackdown dissolved trafficking groups, leaving tens of thousands of migrants from Bangladesh and Myanmar abandoned offshore, leading to a humanitarian crisis in Southeast Asia./.